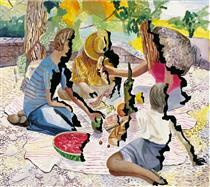 Dana Schutz (born 1976) is an American artist who lives and works in Brooklyn, New York. She is known for her humorous, gestural paintings that take on specific subjects or narrative situations as a point of departure. 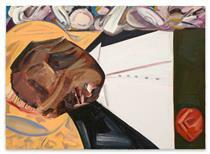 Her painting Open Casket, when shown in the 2017 Whitney Biennial, drew protests "urging that the painting be not only removed from the show but also destroyed". She grew up in Livonia, Michigan, a suburb of Detroit. Her mother was an art teacher in a junior high school and an amateur painter, her father a high school counselor. An only child, Schutz graduated in 1995 from Adlai E. Stevenson High School. 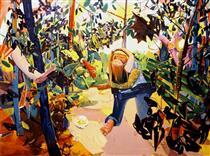 In 1999, while pursuing her BFA at the Cleveland Institute of Art, Schutz then went abroad to attend the Norwich School of Art and Design in Norwich, England. That same year, she participated in Maine’s Skowhegan School of Painting and Sculpture residency program, and in 2000 completed her BFA upon her return to Cleveland. 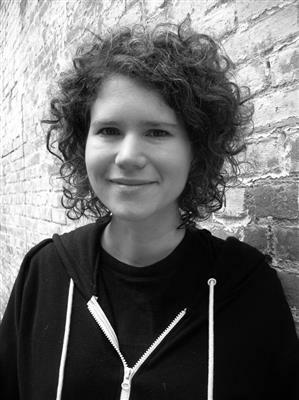 In 2002, Schutz received her MFA from Columbia University in the city of New York. When asked where she comes up with her subject matter, Schutz told Mel Chin of Bomb magazine: "The paintings are not autobiographical […] I respond to what I think is happening in the world. The hypotheticals in the paintings can act as surrogates or narratives for phenomena that I feel are happening in culture. 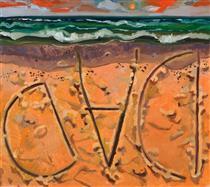 In the paintings, I think in terms of adjectives and adverbs. Often I will get information from people or things that I see, a phrase, or how one object relates to another. I construct the paintings as I go along." 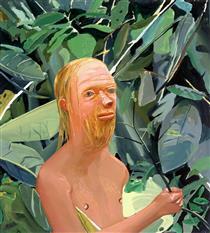 Jörg Heiser, who has compared Schutz to Austrian painter Maria Lassnig, describes the work in his 2008 book All of a Sudden: “Her canvases are ‘too big,’ the way showy gold chains are too big, but also skeptical and at times bad-tempered, the way intelligent teenagers are in their loathing of the bland aestheticism and brash sexuality of pop-modernity”. With regard to color, Heiser adds, “Schutz’s pictures favor a carefully chosen palette of vomit and mold and rot, between pink and purple, turquoise and olive, ocher and crap." 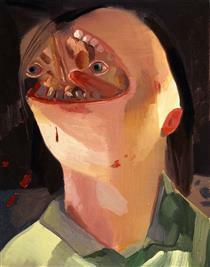 In an essay for Schutz's catalog, Dana Schutz: Paintings 2002-2005, New York-based curator Katy Siegel addressed Schutz's work as paintings that "speak so vividly of their making," claiming that the paintings are an "allegory for the process of making art." Siegel goes on to write "by rendering the process of creation as one of drawing on oneself, recycling oneself and making oneself, Schutz creates a model of creation that blurs beginnings and endings, avoiding the dramatic genesis of the modernist blank canvas, as well as the nihilistic cul-de-sac of the appropriated media image."